Optical vortices carrying orbital angular momentum (OAM) have attracted increasing interest in recent years. Optical vortices have seen a variety of emerging applications in optical manipulation, optical trapping, optical tweezers, optical vortex knots, imaging, microscopy, sensing, metrology, quantum information processing, and optical communications. In various optical vortices enabled applications, the generation of multiple optical vortices is of great importance. In this review article, we focus on the methods of multiple optical vortices generation and its applications. We review the methods for generating multiple optical vortices in three cases, i.e., 1-to-N collinear OAM modes, 1-to-N OAM mode array and N-to-N collinear OAM modes. Diverse applications of multiple OAM modes in optical communications and non-communication areas are presented. Future trends, perspectives and opportunities are also discussed. Jian Wang received the Ph.D. degree in physical electronics from the Wuhan National Laboratory for Optoelectronics, Huazhong University of Science and Technology, Wuhan, China, in 2008. He worked as a Postdoctoral Research Associate in the optical communications laboratory in the Ming Hsieh Department of Electrical Engineering of the Viterbi School of Engineering, University of Southern California, Los Angeles, California, USA, from 2009 to 2011. He is currently a professor at the Wuhan National Laboratory for Optoelectronics, Huazhong University of Science and Technology, Wuhan, China. Jian Wang has received the following representative honors/awards: Royal Society-Newton Advanced Fellowship, Yangtze River Excellent Young Scholars, National Program for Support of Topnotch Young Professionals, National Science Foundation for Excellent Young Scholars, New Century Excellent Talents in University of Ministry of Education of China, and the First Prize in Natural Science Award of Ministry of Education of China. Jian Wang has devoted his research efforts to innovations in photonic integrated devices and frontiers of high-speed optical communications and optical signal processing. He has more than 300 publications in total, including 7 book chapters, 5 special issues, 7 review articles, 10 invited papers, 80 tutorial/keynote/invited talks (invited talk at OFC2014, tutorial talk at OFC2016), 12 postdeadline papers, and more than 100 journal papers published on Science, Nature Photonics, Science Advances, Light: Science & Applications, Laser & Photonics Reviews, Optica, Scientific Reports, Optics Express, Optics Letters, Photonics Research, etc. Jian Wang serves as the Topical Editor of Optics Letters, Topic Editor of Chinese Optics Letters, and Area Editor of Microwave and Optical Technology Letters. 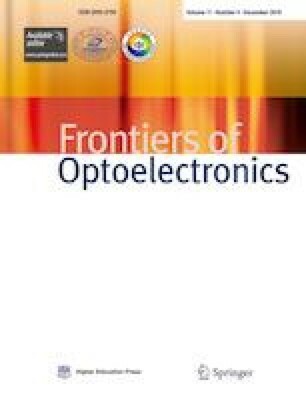 Jian Wang is also the frequent reviewer for more than 30 journals such as Nature Photonics, Nature Communications, Advanced Materials, Light: Science & Applications, Physical Review Letters, Laser & Photonics Reviews, Optica, ACS Photonics, Advanced Optical Materials, Optics Express, Optics Letters, Scientific Reports, etc. This work was supported by the National Natural Science Foundation of China (NSFC) (Grant Nos. 11574001, 61761130082, 11774116 and 11274131), the National Basic Research Program of China (973 Program) (No. 2014CB340004), the Royal Society-Newton Advanced Fellowship, the National Program for Support of Top-notch Young Professionals, the Yangtze River Excellent Young Scholars Program, the Natural Science Foundation of Hubei Province of China (No. 2018CFA048), and the Program for HUST Academic Frontier Youth Team (No. 2016QYTD05).